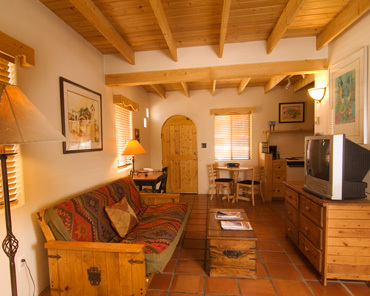 Check-in 24 hours a day - 4 Night Minimum - Ask about our 7th night FREE ! ! 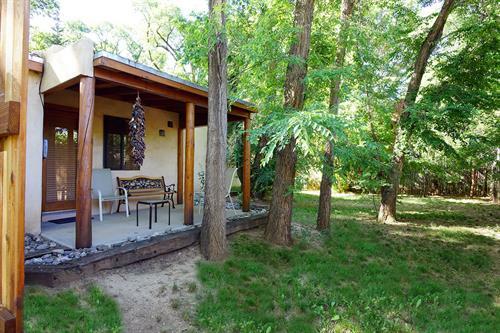 These lovely, quiet, private casitas are nestled in one of Taos' old neighborhoods. 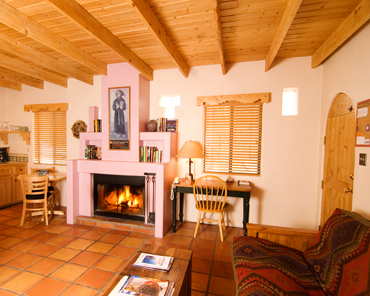 They are fully equipped and just three blocks from the Taos Plaza. 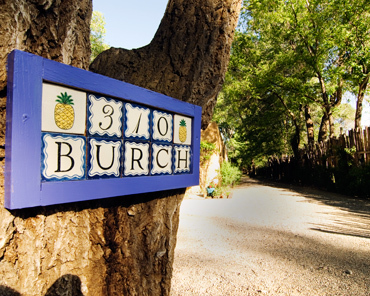 Burch Street Casitas offers quality lodging in a private setting. 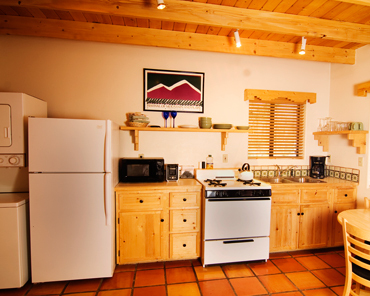 Our accommodations are a home away from home. 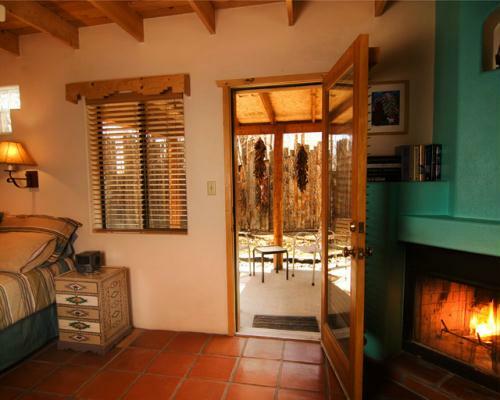 Each casita has an open floor plan, private patio, full bath, king size bed with ceiling fan above, complete kitchen, washer and dryer, private phones, high speed internet, cable TV, living and dining area, wood burning fireplace. Original art by Taos artist, J.K. Lamkin. 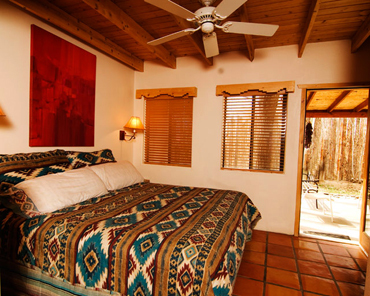 * These four cozy 550 square foot units feature southwestern style architecture in a private compound. * We supply everything except food! 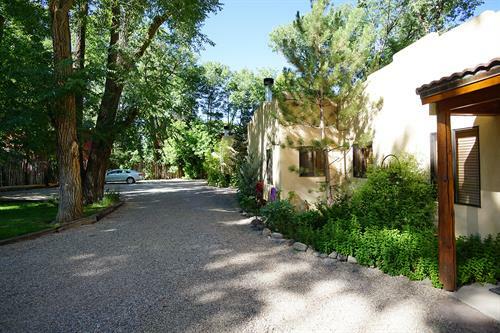 * There is private off-street parking just a few feet from your arched front door. 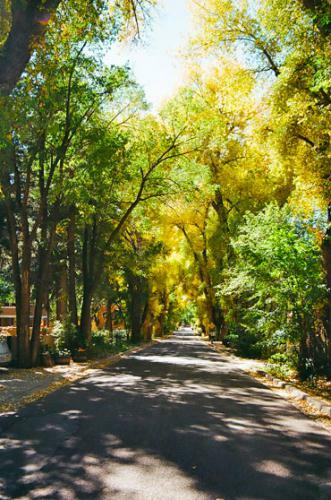 * Outdoors under a canopy of tall Chinese Elm and Cottonwood trees are private patios. 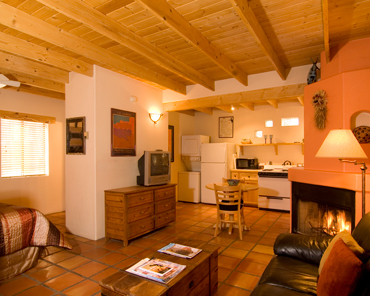 * Experience the balance of modern conveniences in the Historic Town Of Taos. 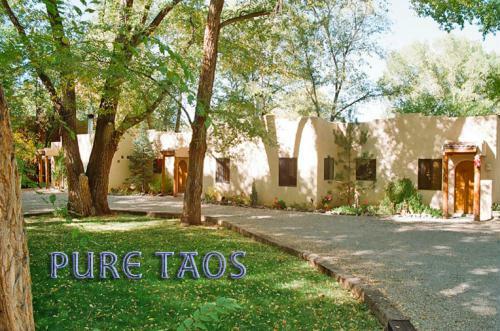 * The ideal Taos vacation rental. 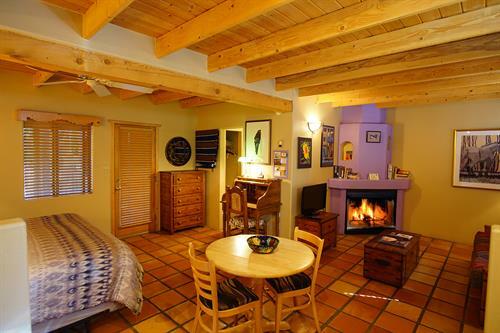 * Why spend the same money on a bed and breakfast, hotel or motel when you can have all the comforts of home? 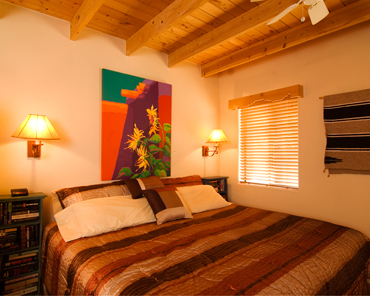 * 4 night minimum - ask about our 7th night FREE! 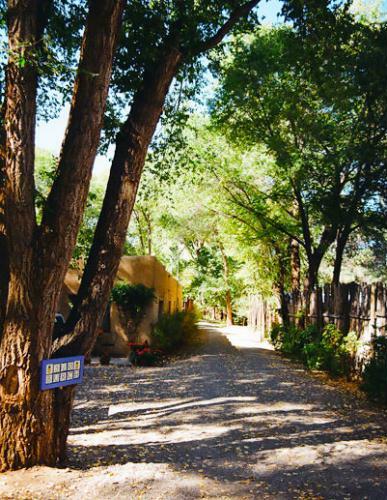 Our secluded driveway is the only entrance to our 3/4 acre private boutique vacation rental. Less than a 10 minute stroll to the plaza. Owners live on property. 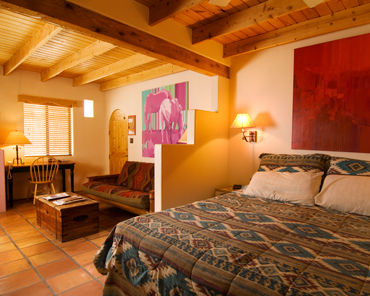 King bed, all the comforts of home and the guarentee to relax on your private patio. 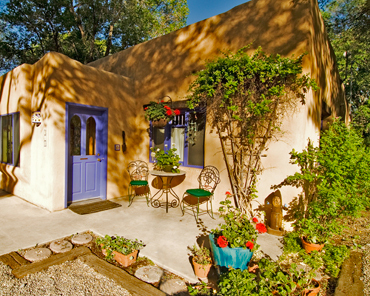 Recommended by The New York Times, Denver Post, Enchanted Homes & the #1 place for Specialty Lodging on TripAdvisor. 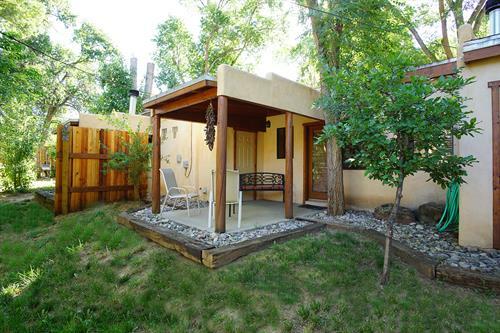 Pass the Taos time on your patio. 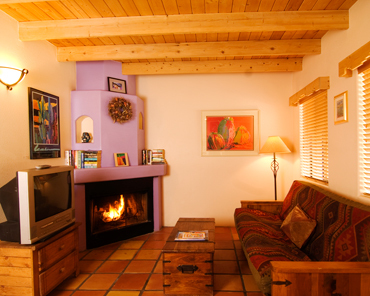 Relax next to your own wood burning fireplace. Artwork by J. K. Lamkin in every casita. We supply everything except food! 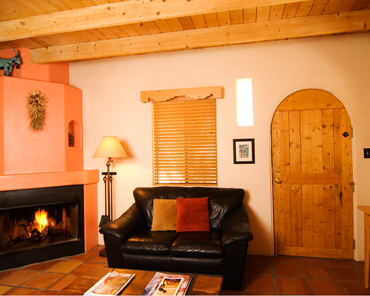 Comfort and charm in every casita. King bed and all the comforts of home. 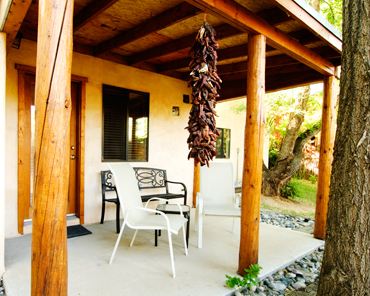 Burch Street Casitas are all non-smoking. 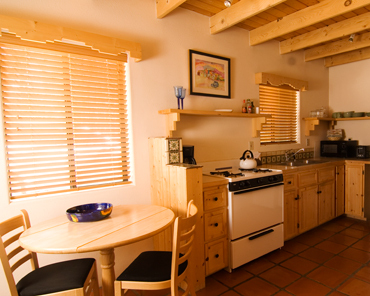 Four cozy 550 square foot units. 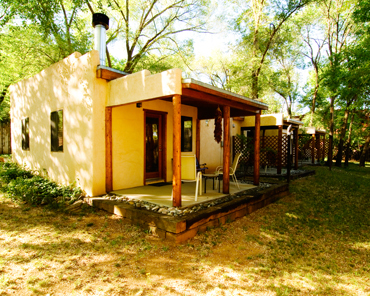 Casitas are in back of Jim and Nancy's house. 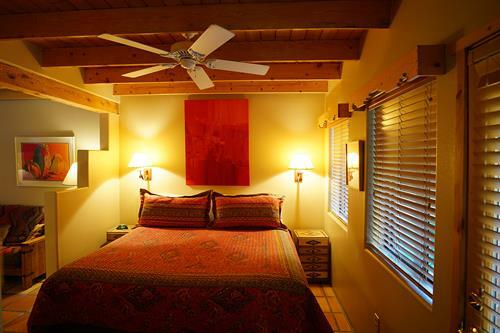 King-sized bed, full kitchen, full private bath.